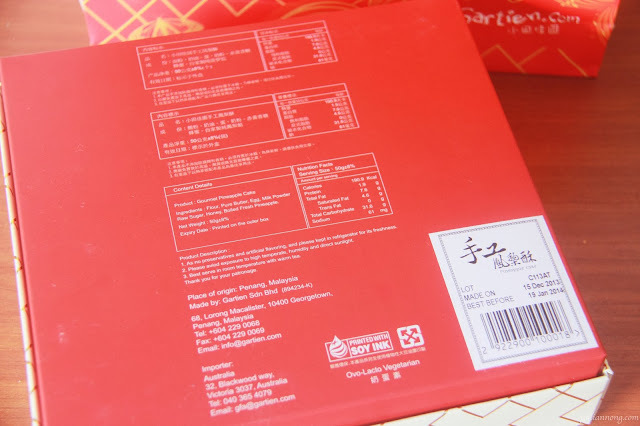 Since i was a kid, pineapple cakes have always been my favorite CNY cookie. It also carries a deeper meaning as well, as it's a homonym for "prosperity arrives" according to taiwan culture. 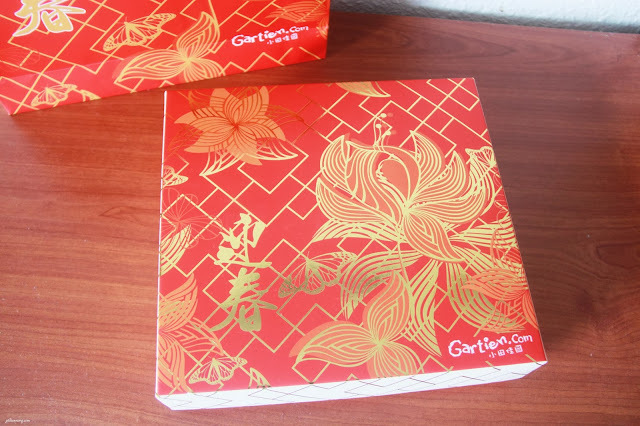 Imagine my joy when I received a box of Gartien Pineapple Cakes for tasting & review from Criz. 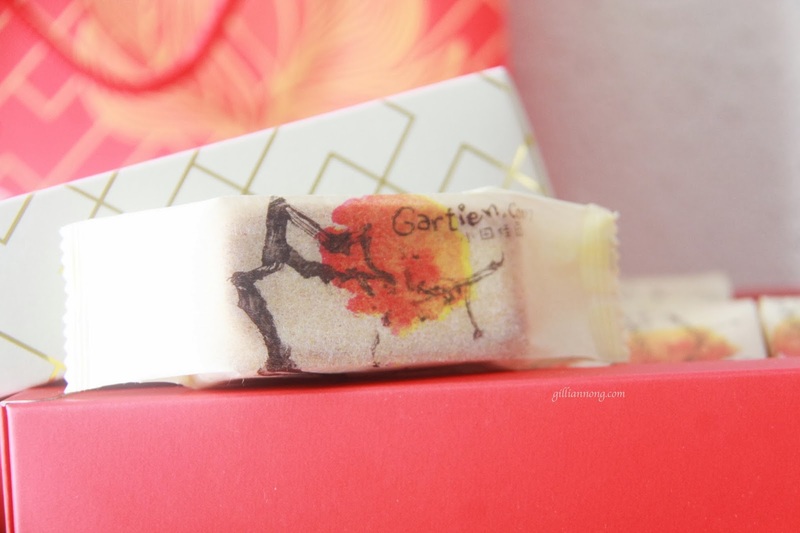 ;) I've heard a lot about Gartien (小田佳園) as a local pineapple cakes manufacturer in Penang. 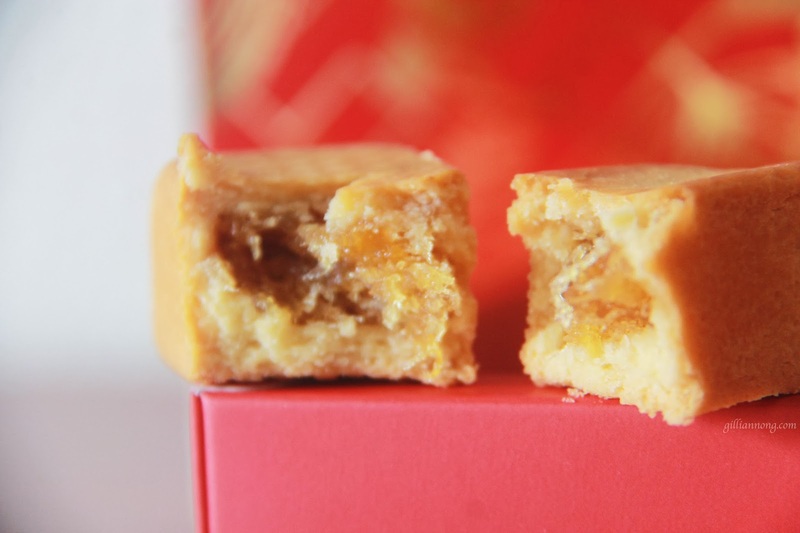 They're famous for their passion for good food & most of all, no preservatives are added in their pineapple cakes. In conjunction with Chinese New Year, they've taken special steps and redesigned their packaging with the CNY 2014 theme of Peony (Mudan/牡丹) flowers. Each box, which contains 10 pieces of freshly made pineapple cakes is priced at RM45/box effective 30 December 2013 onwards. 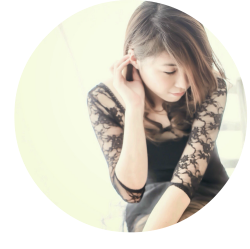 However, if you pre-order before the start of 2014, you would be offered a promotional price of RM38/box. Chunky pineapple filling & the buttery pastry which melts in your mouth! For every 10 boxes ordered/ bought, you can either opt for another box of pineapple cakes FREE if you collect them yourself or get your postage WAIVED if you're residing within Peninsular Malaysia. Do take note that 500 sets of the 'Auspicious Gift Sets' have been booked, and only 1000 sets available for pre-order now. So you better move fast as an approximate figure of 250 sets are available weekly ! Last date for collection would be 26th January 2014.